Thank you, we know your time is valuable! You're an expert, scientist, or scholar - and your work is invaluable to public policy debates. Although you may not be directly communicating with the public, you may rely on media and educational institutions to "broker" your works to the public and make them more cognitively digestible. As an educational non-profit, that's what we're doing. We are "mapping out" arguments from all sides of public policy debates about climate change in a new visual interface for public education and awareness. We are asking experts to "represent" their own works and indicate if any of their research may be used as support for a given claim, argument, or position within the debate about climate change. Would someone find your research useful to support an argument about climate change? If yes, then please represent it here! Please note: we are not asking you to send us your original PDFs (and potentially violate scholarly journal contracts - although we'd happily receive them if there is no conflict), we are asking you to explain if research you've performed would indicate support for a specific position, claim, or argument within the climate change debate. Your work is invaluable to a functional democracy, so thanks for contributing! 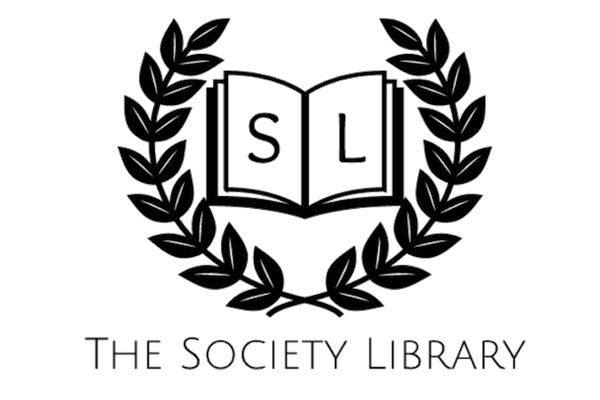 If you have questions, please contact us at Contact@SocietyLibrary.com. The Great American Debate is a program of the Society Library. Basic Identifying Information* This field is required We ask that you "represent" one published work through this form at a time. Please include the title below. Please Input Scholarly Article Citation (APA, please)* This field is required We ask that you represent one published work through this form at a time. Please Input Article Abstract Here* This field is required This can either be the official abstract, or any abstract written by you. We will ask if we are able to publish this abstract within the educational materials we circulate (properly cited, of course). Please help us identify the topics covered in this work by adding tags* This field is required Such as: "GIS data, Ice Core Samples, Solar activity" - please add as many tags as you like, just separate them by commas "," please. Please separate by comma ","
Could evidence, data, or conclusions derived from this work be used to support any of the following positions? * This field is required Please note, we're not asking for your official position on the matter, we are asking if someone else could or would use conclusions or data from your work to make one of the following claims. We will not frame this selection as your claim as an individual. How does your work support that position? (Technical Statement)* This field is required Please use the following formula: "Based on [this work], we observed [these results], which led to us reasonably conclude [this] which can be used to support the aforementioned climate change position. Include "however" for any important caveats. Have more statements to add? Include them below Add as many as you'd like following the same formula above, please! Notes, Feedback, Caveats, Other Input Are there specific references in your works that you would like us to focus on? Are there specific tables, graphs, data sets that are referenced that are of importance? Please write us a note on how best to find them or interpret them! We also appreciate feedback on how we can make this survey better! For example, how can we improve this survey? Please Confirm Permission To Use Content* This field is required You are granting our organization permission to use content from this survey in our non-profit, educational programs. Find out more at SocietyLibrary.com. Have additional works you'd recommend? Include a citation and we'll reach out to the authors! Confirm Humanity & Submit Survey* This field is required Thank you so much for your contribution!